Dubai-based Emaar is gearing up for yet another spectacular New Year's Eve celebration that will feature several amazing new elements in addition to spectacular fireworks, returning this year by popular demand. 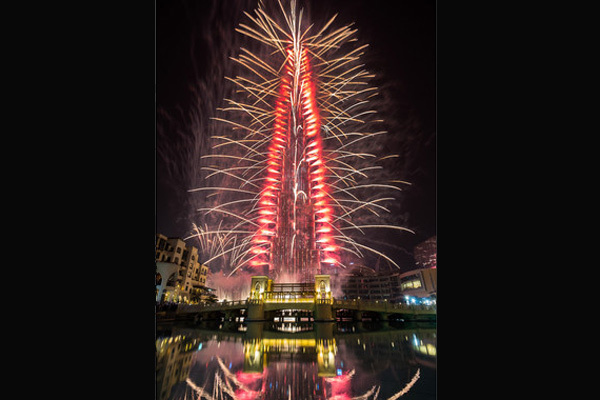 The New Year's Eve Gala in Downtown Dubai will be highlighted by festivities across Burj Khalifa, the global icon, and scintillating water-music performances at The Dubai Fountain. The show is coordinated and produced by a team of world-class experts. Governmental entities and the Events Security Committee are supporting the event to offer a seamless experience for visitors. Special viewing platforms will be set up across Downtown Dubai and further information will be released closer to the date. The event will be broadcast live on televisions globally and beamed on big screens in Downtown Dubai.